Phoenix AZ to Prescott AZ is about 99.5 miles or an hour and a half drive time. The distance from PHX to downtown Prescott is 103.1 miles with about the same drive time. The drive can be about 15-30 minutes longer if it's during rush hour, which is in the morning from 6-9 am, lunchtime from 11 am to 12 pm and when people get off work from 4-7 pm. It saves a lot of time if you have two people in the car and you can drive in the HOV or carpool lane. There are no public buses from Phoenix to Prescott. The Greyhound does go to Prescott, but it takes about twice as long and drops you off at a bus stop instead of your house. There are also no trains in Phoenix or Prescott. Taxi service is available, but it's very expensive at about $2 per mile or $200 plus time at each stop. Arizona Shuttle does go to Prescott AZ, but they leave you at a bus stop and it takes about as long as riding the Greyhound. Arizona Shuttle is also closed from about midnight to 6 am. We offer a much better shuttle service; it's more convenient, faster, affordable and safe. We take you all the way, so you don't have to pay for or arrange other types of expensive local transportation. We also don't stop repeatedly like other companies picking people up and dropping people on the way to and from the PHX Airport. Plus we don't leave you at a bus stop in the middle of the night, which is generally a gas station. We have great drivers and great vehicles to give you peace of mind. 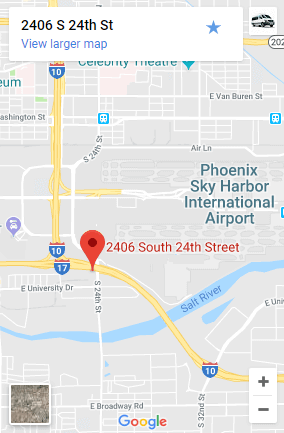 We go directly from PHX Sky Harbor International Airport or any other address in Arizona to any address in Prescott or Prescott Valley AZ, so it's door to door service and non-stop. We also go there anytime 24/7 and back if you have a late night or early morning flight. Most rides with us are just you in a nice luxury car or a Mercedes Shuttle if it's 4 people or more. Despite sending a nice car, we are actually very affordable. Shuttle fares are similar to ride sharing companies like Uber or Lyft except our drivers are well trained and go through extensive background checks. You'll never hear one of our drivers complaining about their life, and you won't be picked up in a small car like a Prius. Uber and Lyft generally do NOT have drivers available in Prescott or Prescott Valley, so it's a good idea to book a ride ahead of time to avoid missing your flight. Plus you save 10% each way if you book a round trip. Uber also don't like driving that far and their drivers tend to cancel repeatedly in your driveway or at the airport. Once they figure out that you want to go to Prescott or back to the Phoenix Airport they usually cancel. Basically, their drivers have no idea where they are going until they arrive to pick you up. Unfortunately, that means Uber charges you $5 for each cancellation when driver cancels, so it's not even you doing it and there's no phone number to call Uber Customer Service. The reason they cancel is that they would rather stay in town; Uber drivers get paid to drive to Prescott, but they get nothing to drive for an hour and a half to drive back. Drivers will cancel repeatedly without even talking to you, and rides back from Prescott to Phoenix are very rare. Many people like to schedule ahead of time in their app, and the app with just cancel your trip if no drivers are available. This can be very frustrating since you may not even realize that Uber cancelled your pick up. People call us all the time, because they can reach a real human being. We don't use complex phone systems and recordings to keep people on hold for long periods of time. Usually we will answer right away or call you back within a minute or two. We also give you your driver's cell phone number once it gets closer to the pickup time to make it easy for you to communicate. Uber are Lyft drivers are never interviewed, and the background checks they do don't include fingerprints like a live scan or actual law enforcement. They just do a $10-20 online background check that is just for their state. All of our drivers are required by the airport to get fingerprint background checks that are reviewed by actual law enforcement. This is why there have been so many new stories in major newspapers about Uber and Lyft drivers committing criminal sexual acts and murder. Rating systems are not that accurate because reviews can be written by friends and family. We know all of our drivers and get positive feedback from customers all the time. We don't tolerate drivers being late, rude to customers or the many other things that give people a bad experience. Your safety and continued use of our service is very important to use; if not we are just spinning our wheels spending lots of money on advertising for nothing. Gas prices are high. Good drivers are not the bottom of the barrel when it comes to wages and whether the great ones stick around or not has a lot to do with how they treat customers. I hope I'm not just rambling on... The moral of the story is to call us, book online and try us out at least once. You'll be happy that you did. All things considered it's about the same price as taking multiple companies to get home and it's a lot faster, easier and more convenient.